DANIEL GAGNON's enthusiasm for photography began in the late 90's when he first laid hands on mom's 35mm Olympus camera. With a stubborn dedication to learn the works of his newly borrowed contraption, Daniel began to experiment with his mother's camera and went on to study photography in his high school's Gifted Arts Program. Despite the first few exposures of complete blackness, followed by some blurry images of the landscape, his eagerness to succeed grew larger. Graduating valedictorian of his class, Daniel's love for the arts led him to Alfred University in western New York where he received his BFA in graphic design and dimensional studies. Continuously in need of photography that would support his design work, Daniel's new investigation came full circle - only this time, it was digital. 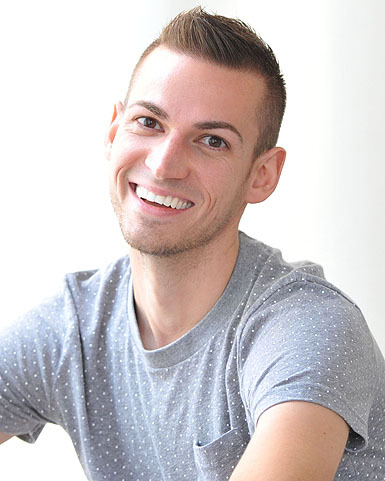 Daniel has been working in digital photography for about 12 years and has gone on to shoot for nationally and internationally recognized brands and publications, such as Estee Lauder, Scoop NYC, Boston Fashion Week, StyleWeek Providence, The Pet Elite, LOOK Magazine, and Gladys Magazine. He landed his first book deal in 2007 when Vertigo Publishers (Spain) sought out his work for their new coffee table book entitled 'Dog Accessories'. With over 12 full-page spreads, Daniel credits his work in pet fashion photography as what put his name on the map. As a freelance photographer, Daniel continues to learn, experiment, and seek out new challenges in all areas of photography.